Back in April, we attended the Top Shelf Closet Design Awards in Chicago to celebrate More Space Place’s own Bob Barthman who was the overall winner of the 2017 contest. 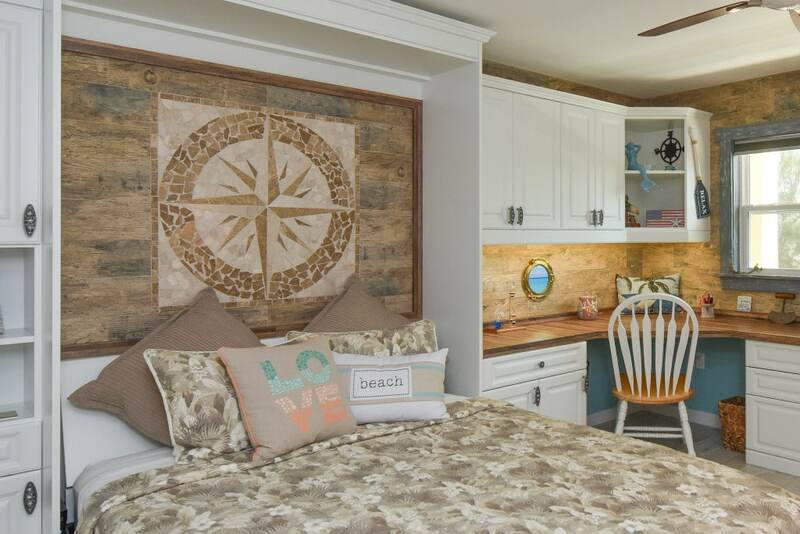 In addition to being awarded the overall winner of the contest, Bob took home the top prize in the category of “Home Office: Over 150 square feet.” The project that won Bob first place was Condo on the Bay – Nautical Home Office. 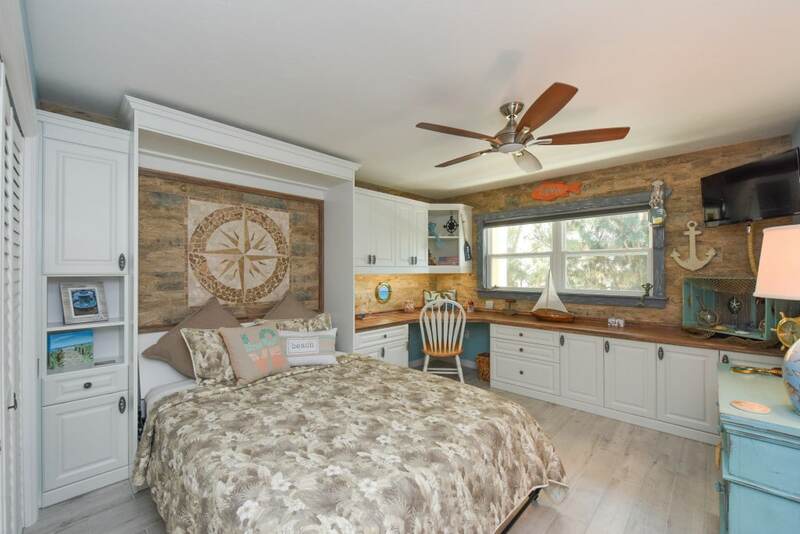 It features a white laminate finish, as well as custom color match paint on traditional medium density fiberboard (MDF) door and drawer panels. For an added special touch, traditional crown moulding was fitted all around the top of the bed and upper cabinets. 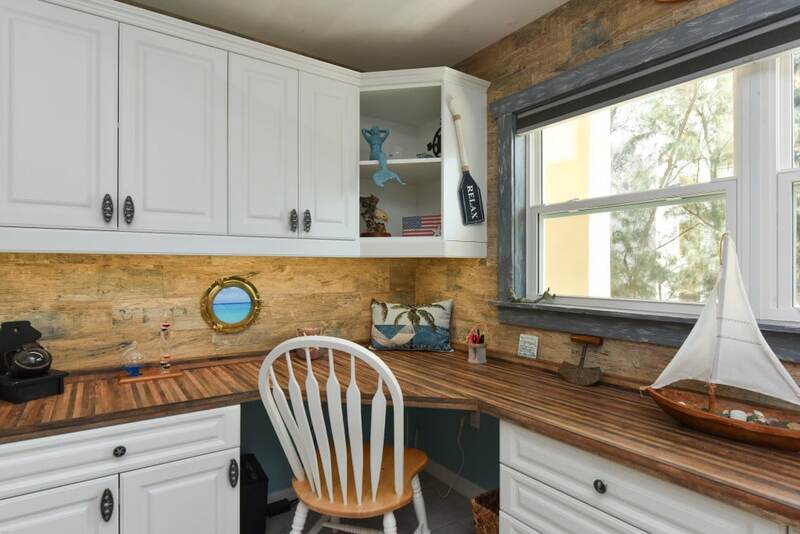 The Sarasota condo in which the custom home office was installed is on the third floor of a building that overlooks Sarasota Bay. 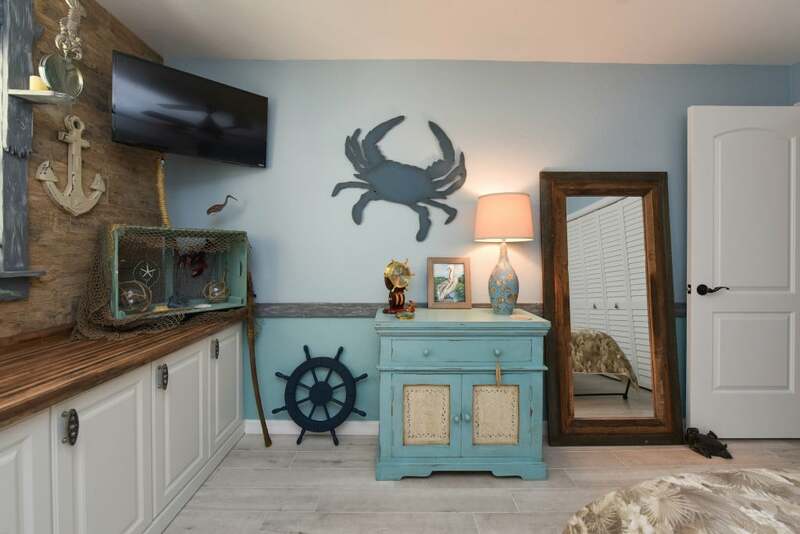 The nautical theme fit perfectly in the seaside setting, and the overall project came out beautifully. 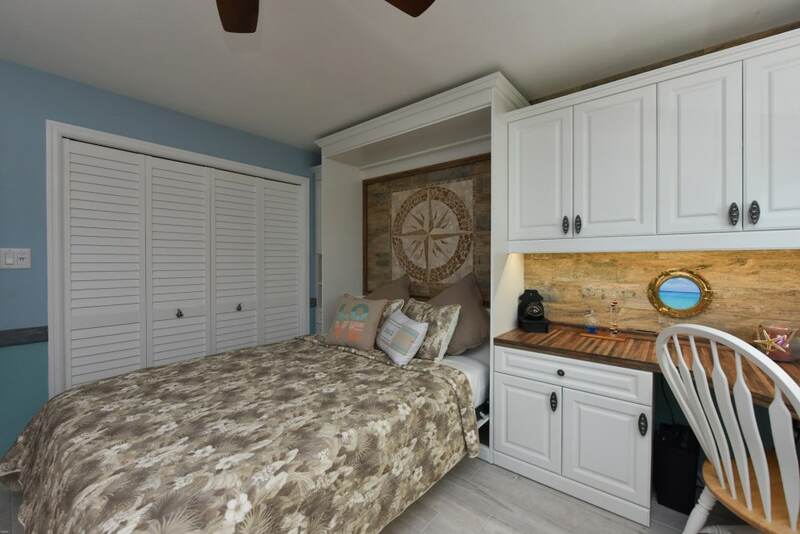 The customer wanted the space to be open, and they wanted the design to include plenty of effective storage. Bob’s storage design combined cupboards, drawers, and open shelving to create a versatile and well-rounded system. 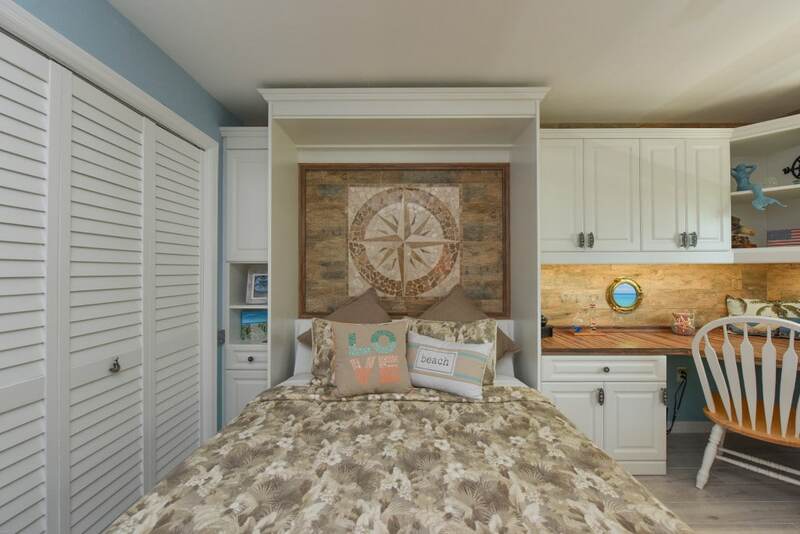 A matching Murphy bed was installed beside the desk to provide a comfortable extra bedroom. 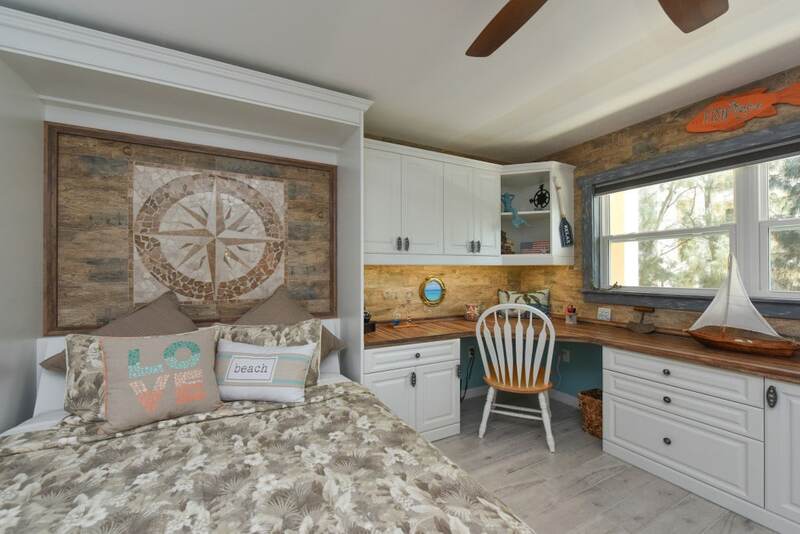 The space-saving bed further heightened the function and efficiency of the room, and it will allow the home office to pull double duty when necessary. 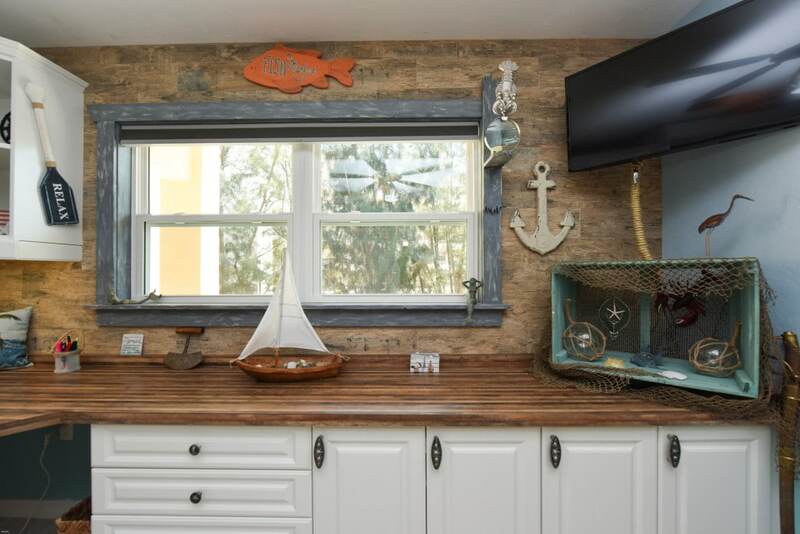 Take a tour of the Nautical Home Office below! It was a lot of fun attending this year’s Top Shelf Closet Design red carpet event. It was also very inspiring to get to see many great home storage designs from other professionals in the industry. We’re fortunate to have an award-winning designer on our More Space Place team. Congratulations, Bob, on a job well done! 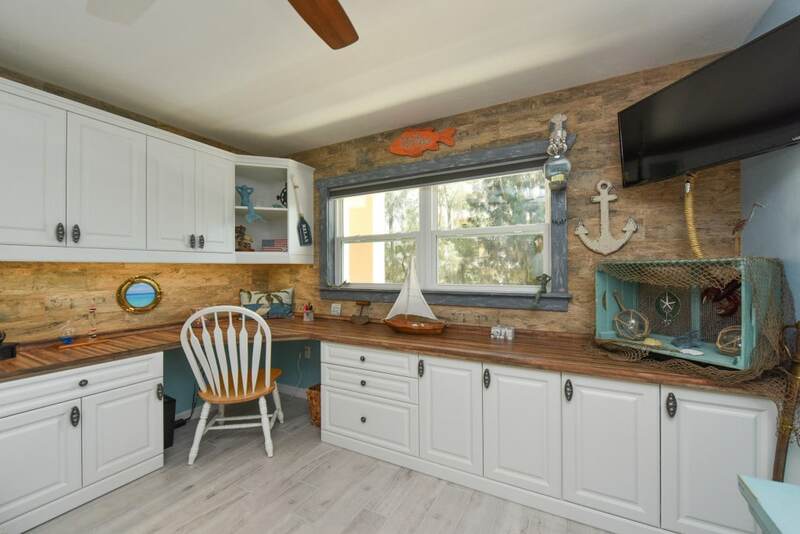 If you’d like to learn more about having your own custom home office designed and installed, contact us today for a free in-home consultation. 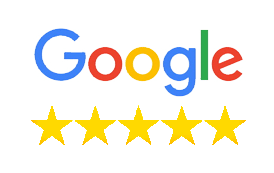 You can also visit us at one of our three More Space Place showrooms in Sarasota, Bradenton, and Port Charlotte.